The late Anthony Bourdain—man, that’s a helluva phrase to type out—completed one full episode of his CNN show Parts Unknown before his death in early June. 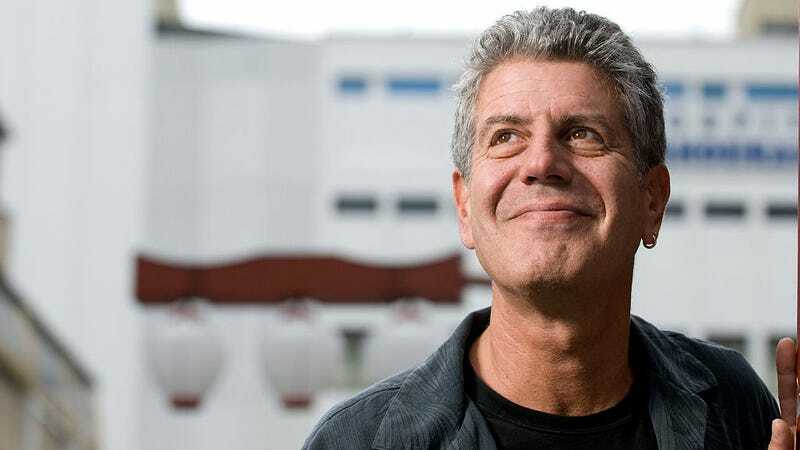 Parts of four other shows were shot, though Bourdain himself never voiced-over the narration that gives the show its literal and figurative voice. The Los Angeles Times reports that those five on-location episodes, along with two retrospective shows, will comprise the final season of the CNN docu-series, airing in the fall. Bourdain finished a completed episode that was filmed in Kenya with his CNN Sunday night colleague, W. Kamau Bell (you can hear Bell speak about that experience in a recently recorded episode of Fresh Air). The other four shows were shot in New York’s Lower East Side, along the Texas-Mexico border, in Spain, and in Indonesia. Those shows will feel different without the cadence and narration of Bourdain, but will be put together by the episode’s directors. The final two episodes, the Los Angeles Times reports, will feature the cast and crew reminiscing, and one that examines how Bourdain changed the world through his travels. Will you be able to watch these shows without shedding a tear? I don’t know that I can.